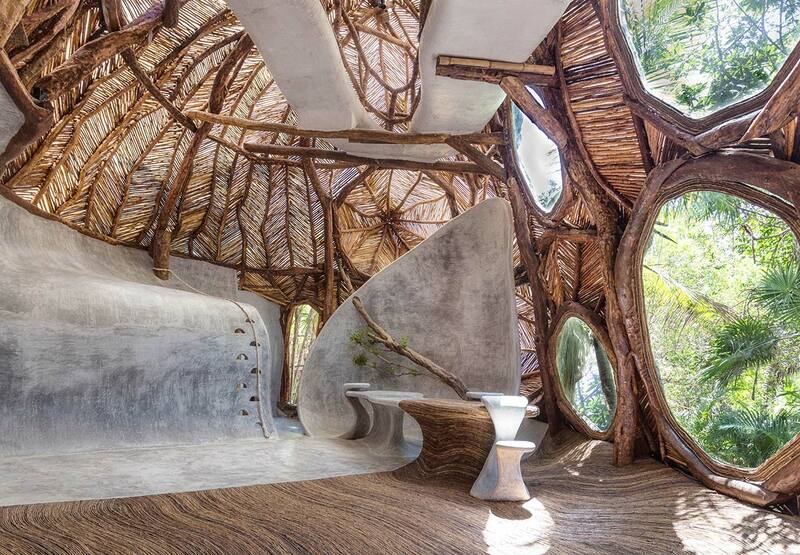 Located on the coast of Mexico's Yucatán Peninsula, within the pioneering Azulik ecological resort, the gallery was conceived by Santiago Rumney Guggenheim, the great-grandson of legendary American art dealer Peggy Guggenheim and Tulum local, as an inspirational place where the world’s finest creative minds can explore new ways of creation. 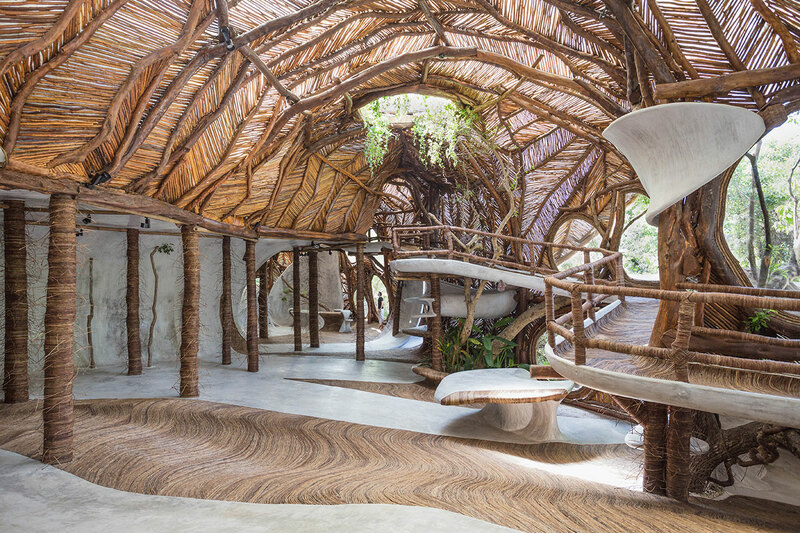 Designed by owner and CEO of Azulik, Jorge Eduardo Neira Sterkel, as an embodiment of the Yucatan peninsula’s abundant nature and rich spiritual heritage, the gallery is an eco-friendly, womb-like space, part tree-house, part nest. 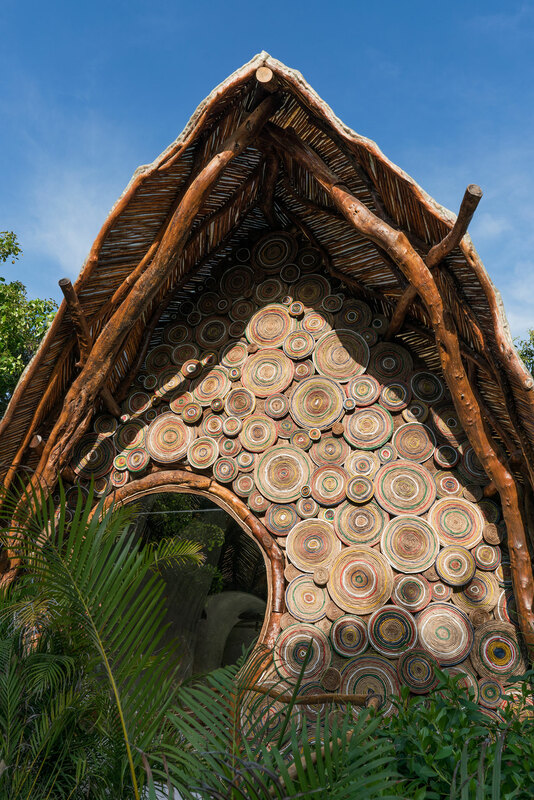 Its organic, convoluted and dream-like architecture, rather than cleansing visitors’ visual palettes, ignites their imagination and allows them to experience the artworks through a heightened state of mind. 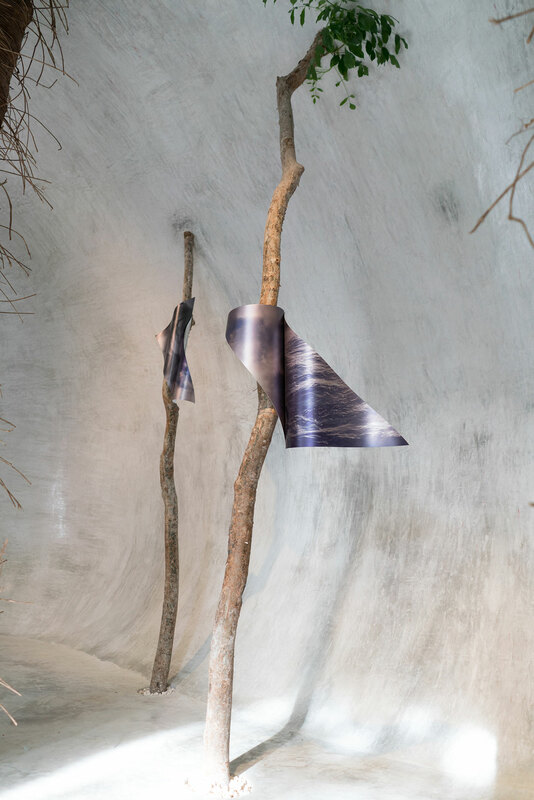 Built on stilts, the gallery is elevated to the height of the tree canopy, neither cowering in its shadow nor surpassing it in arrogance, in total equilibrium with Mother Nature. 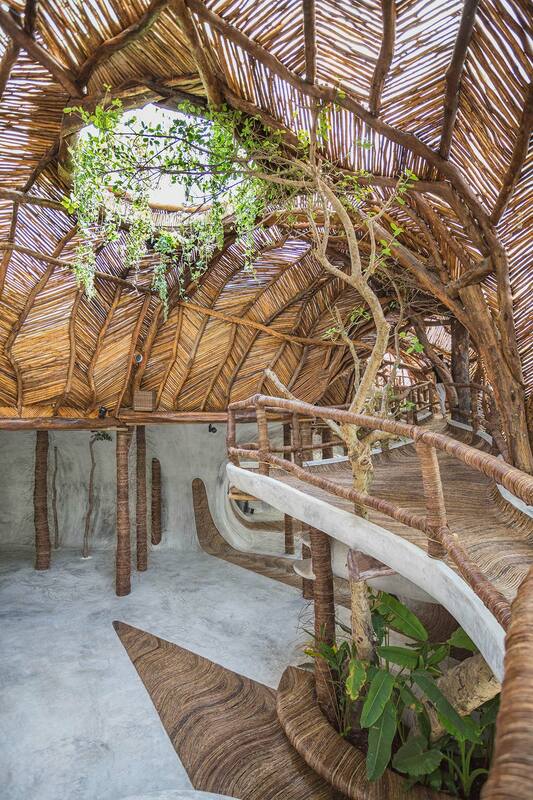 The design is also a gesture of sustainability, as it allows the local wildlife free passage below. The fact that no trees were cut to make way for the building further attest the building's ecological bona fides. The gallery’s elevated position is also symbolic of the experiential elevation to another dimension that the place is meant to induce. 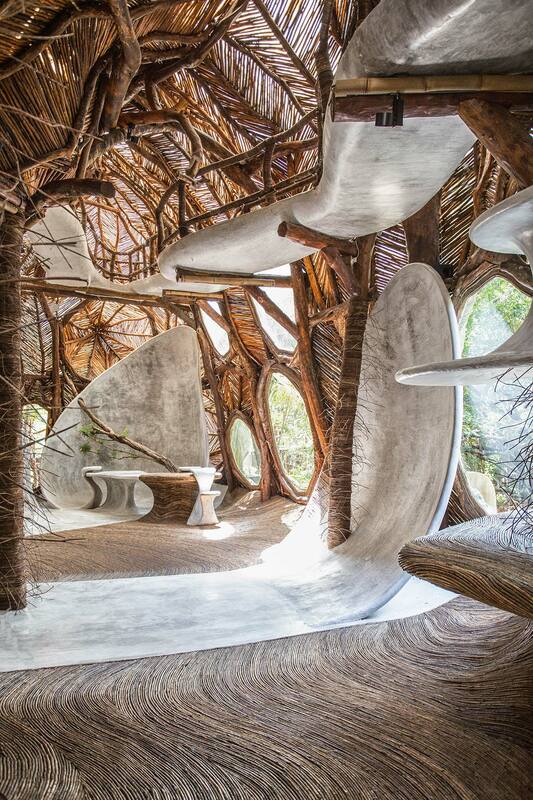 Indeed, when visitors walk through the glass and wood, four-metre high doors into the fluid space of undulating surfaces, it is as if they have stepped into some kind of metaphysical reality. 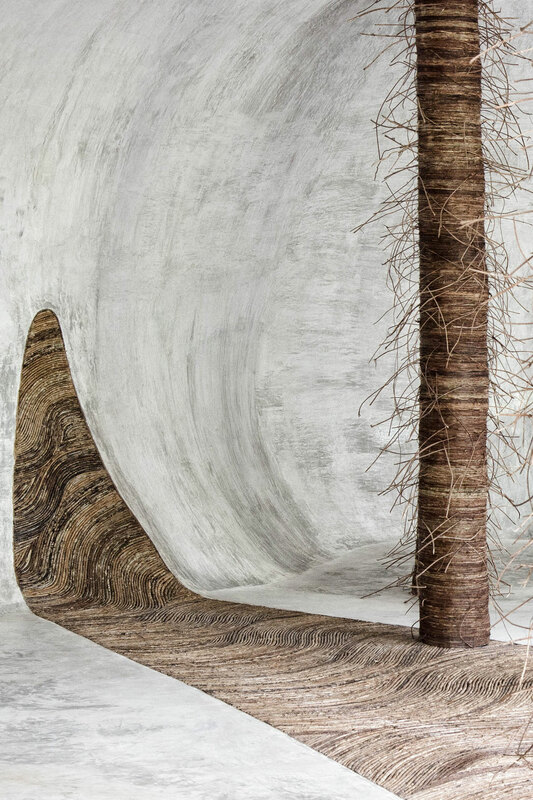 The temple-like space consists of wave-like cement floors that turn into walls, diluted by flowing timber insets, and crowned by an organic canopy of larger and smaller tree branches that uncannily filters in the daylight through transparent fibreglass. The spirituality that the architecture emanates is heightened by the gallery’s requirement that visitors take off their shoes: as you walk barefoot on the cool, smooth concrete, interchanged by the rough texture of the bejuco flooring, a vine-like plant native to the region, every step softly reverberating due the soundproofing, you become acutely aware of the physicality of both the space and your own body. 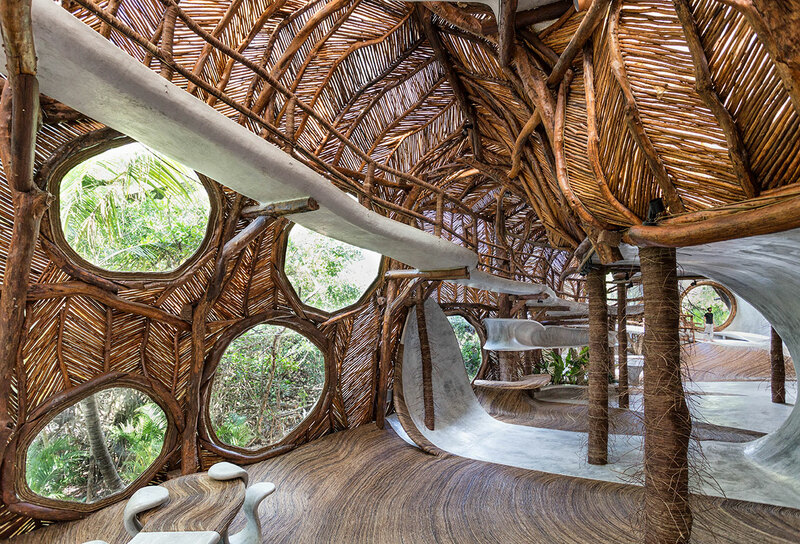 The elevated walkway that meanders through the space and the round windows that puncture the gallery shell, which allow glimpses of the wild natural surroundings, further enhance the otherworldliness of the space and deepen visitors’ experience. Meanwhile, the few furniture pieces that populate the space seem to have organically grown out of the building fabric. A second, 12 metre high space called The Dome can be reached through a vortex-like structure by walking across a natural water flow, where visitors will encounter Paris-based, Italian artist Tatiana Trouvé’s “250 Points Towards Infinity”, part of the “Alignments” exhibition. Contrary to the law of gravity, the 250 pendulums that are suspended from the domed canopy descend in diagonal lines as if directed by invisible hands, thanks to invisible magnets embedded in the floor. The uncanny constellations formed by the metallic bobs both engage and disorient visitors who now can no longer rely on the physical laws that they know. 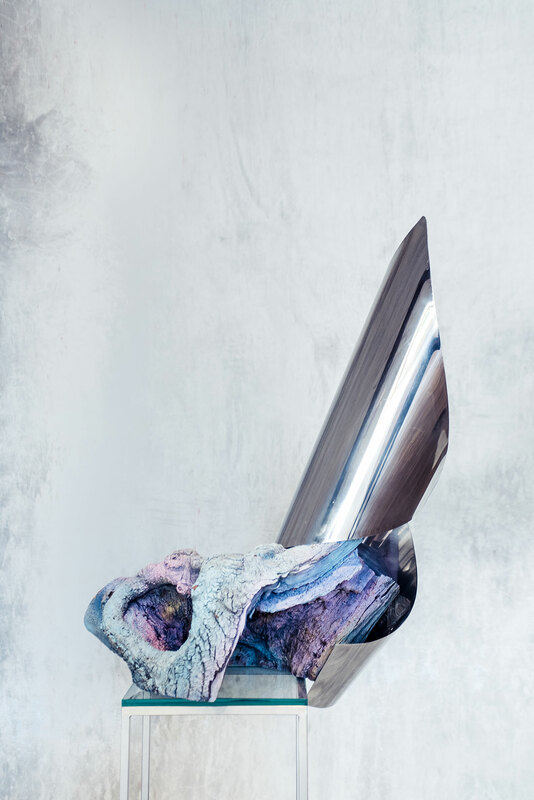 Tatiana Trouvé, 280 Points Towards Infinity, 2009. Plumb lines, magnets, metal. Installation view: Alignments, IK LAB, Tulum, 2018. Courtesy of Azulik. Margo Trushina, Impermanence, 2016. Print on aluminium. Installation view: Alignments, IK LAB, Tulum, 2018. © Alice Rabbit, Courtesy of Azulik. 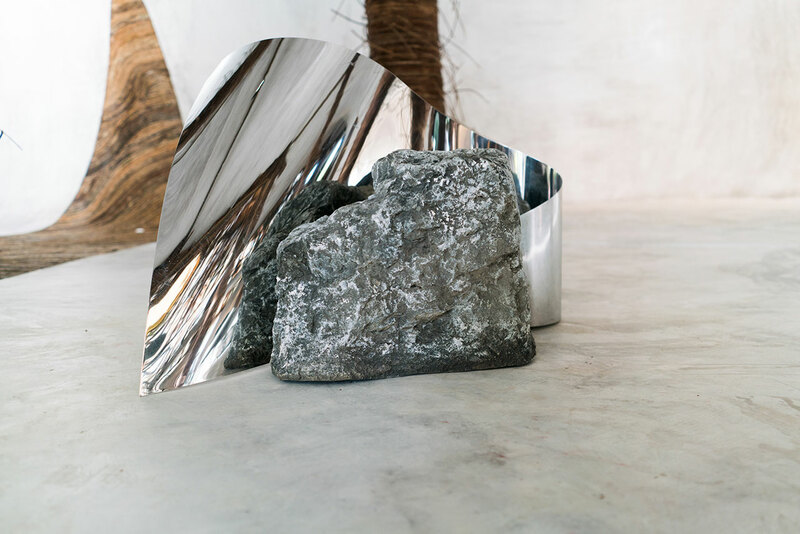 Margo Trushina, Rock sculptures, 2015. 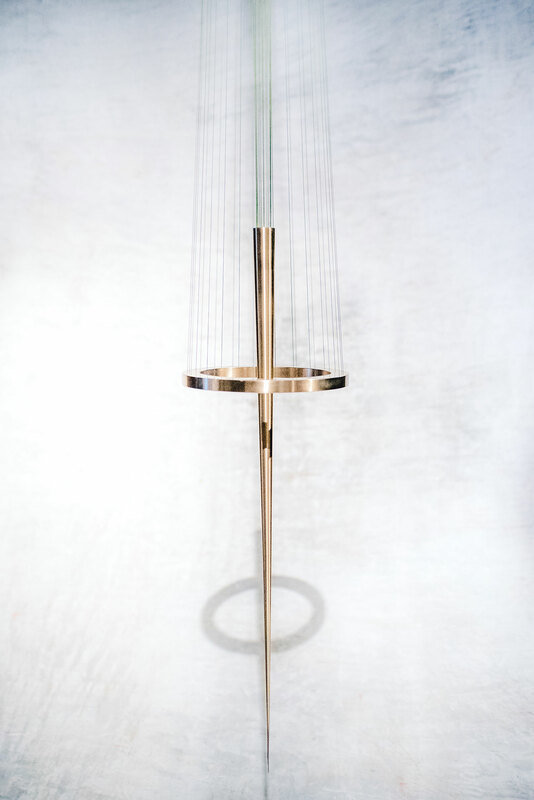 Fiberglass, polished steel. Installation view: Alignments, IK LAB, Tulum, 2018. © Alice Rabbit, Courtesy of Azulik. Margo Trushina, Untitled. Direct print on aluminium. Installation view: Alignments, IK LAB, Tulum, 2018. Courtesy of Azulik. The relativity of perception is further explored by London-based, Russian artist Margo Trushina’s works in the main gallery space. 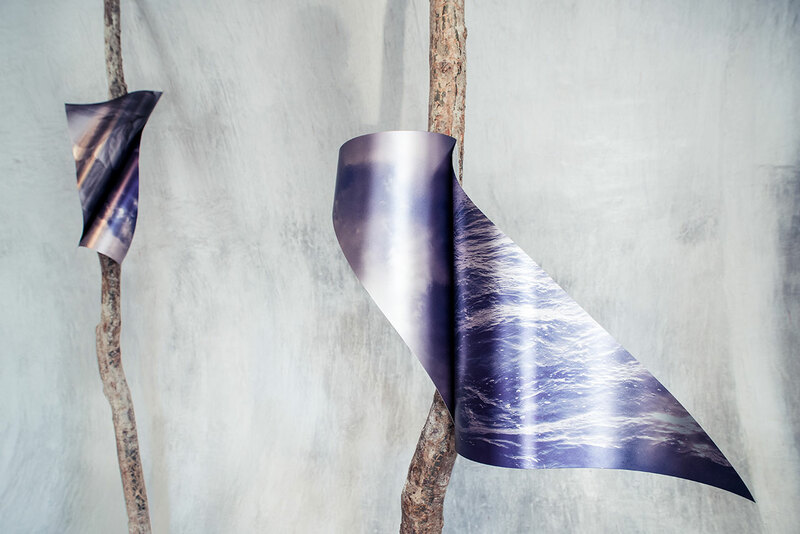 Rock and wood formations, enveloped in reflective metal folds, imbue the solidity of the objects with movement, whilst photographs of the sea and sky, printed on undulating aluminium sheets wrapped on the gallery’s organic columns or on circular and rectangular metal plates hanging on the walls, ask viewers to suspend their knowledge of the image as a constructed fiction. Meanwhile, “Being Human Being”, Trushina’s neon outlines of people that appear as if hurriedly hand-sketched in the air, poetically dissolves the illusion of our permanence. Just as ambiguous are Brazilian artist Artur Lescher’s suspended spatial structures, whose delicate verticality makes them almost invisible. Like the other two artists, Lescher’s artworks operate as poetic gestures that explore the mechanics of form and movement, balance and tension, and question how we perceive the space around us. They present, in other words, the perfect counterpart to the gallery's physical exploration of the metaphysical. Margo Trushina, The Unfolding, 2014. Wood trunk, spray paint, glass and polished stainless steel. 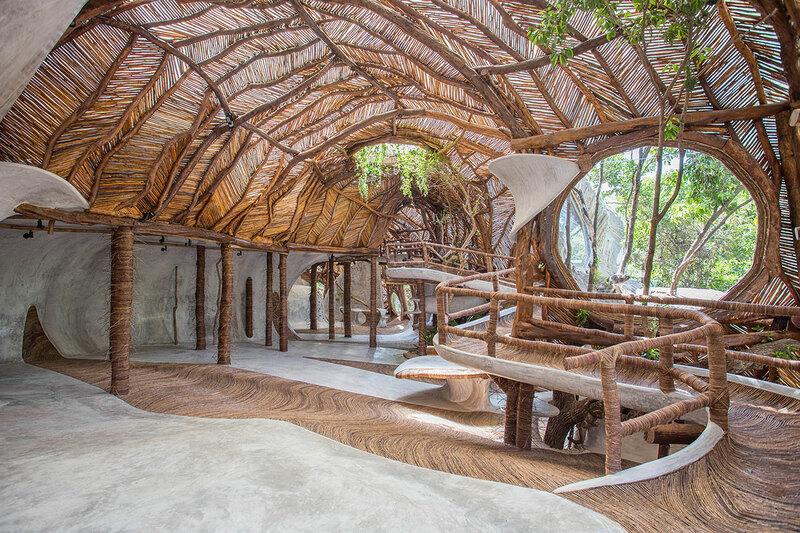 Installation view: Alignments, IK LAB, Tulum, 2018. © Alice Rabbit, Courtesy of Azulik. Margo Trushina, Being Human Being, 2016. Neon. 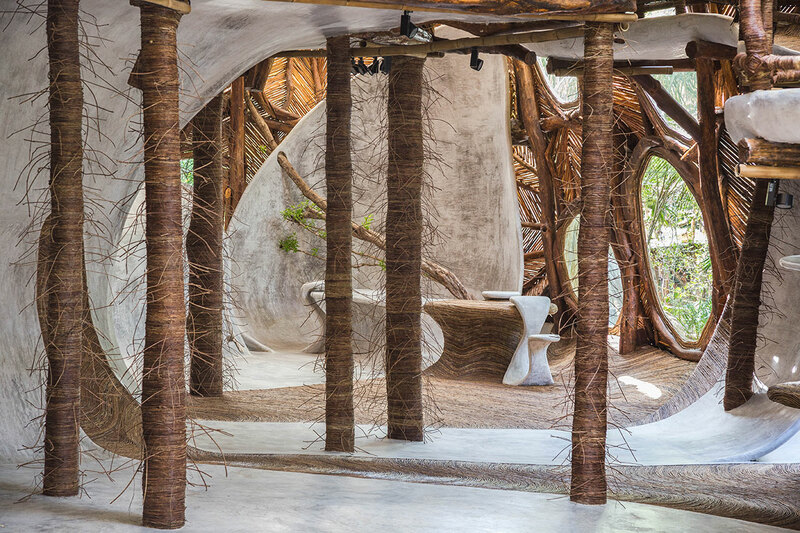 Installation view: Alignments, IK LAB, Tulum, 2018. Courtesy of Azulik. Margo Trushina, Untitled, 2017. Brass. Installation view: Alignments, IK LAB, Tulum, 2018. Courtesy of Azulik. Artur Lescher, Marco, 2017. Brass and multi filament line. 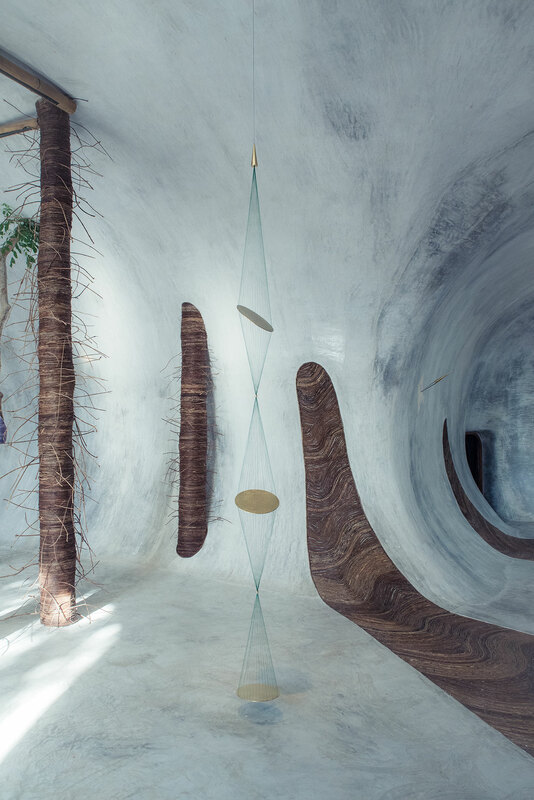 Installation view: Alignments, IK LAB, Tulum, 2018. Courtesy of Azulik. 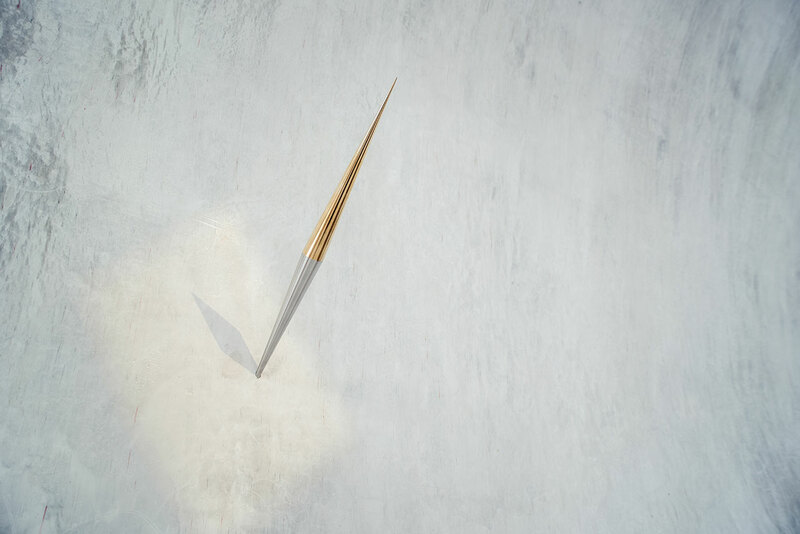 Artur Lescher, Sem titulo, 2012. Brass and stainless steel. 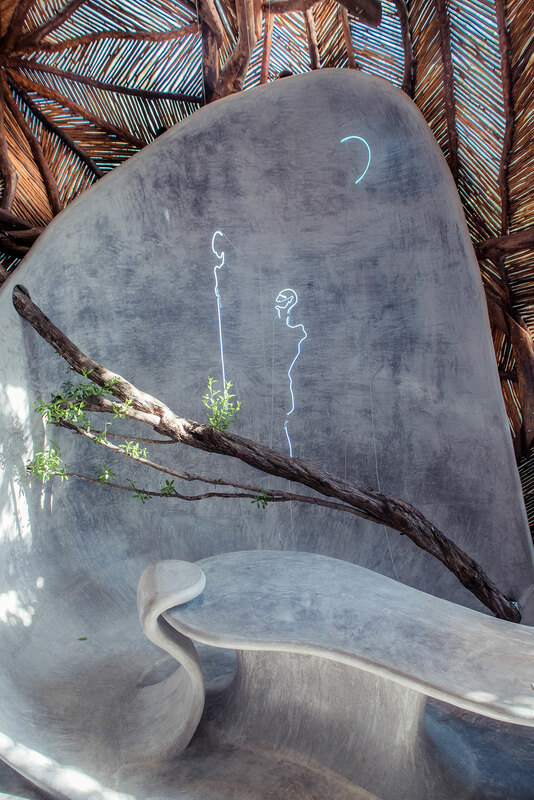 Installation view: Alignments, IK LAB, Tulum, 2018. Courtesy of Azulik. Artur Lescher, Sem título # 2, 2017. Brass and multi filament line. Installation view: Alignments, IK LAB, Tulum, 2018. Courtesy of Azulik. Artur Lescher, Ann Nine, 2014. Brass, laiton. Installation view: Alignments, IK LAB Gallery, Tulum, 2017. Courtesy of Azulik. IK LAB Gallery, exterior view © Alice Rabbit, Courtesy of Azulik.